Sea bass love terrible winter. And I get so excited when I see those merciless waves slap the shore like they hate it. While most of my lazy friends trying to get warmer in their women's arms, I find myself on a rock at the edge of a quiet but wild beach with pebbles. 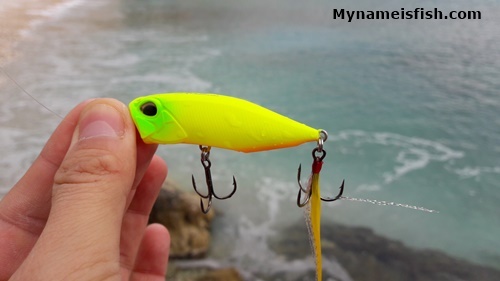 I usually pick dark color poppers for calmer water but for rough sea this bright yellow chick is my favorite. Is Storm's wild eye swim shad good for catching fish? I have been thinking to try these wild eye shads for a while and finally I bought a pack of Pearl at Walmart. It was less then $5. 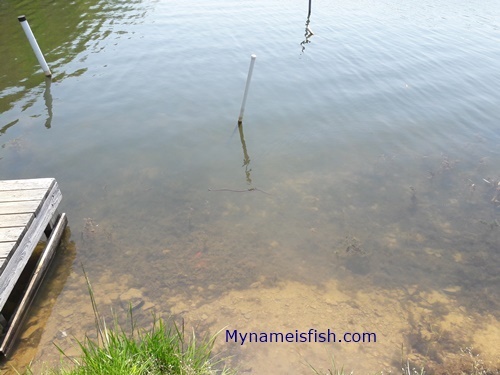 3 in a pack and all same size; 3"
I chose the Pearl color because I always catch bigger fish in sunny and hot afternoons with pearlish, whitish, silverish colors in lakes, deep ponds and rivers. Saltwater is a different subject.. 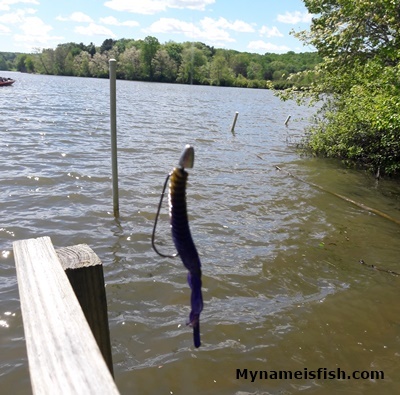 When it came very close to the shore I noticed there were a lot fish chasing it.. small ones, big ones, bluegill, bass.. I loved seeing how they were all so curious about this crazy shad. After a few cast, I understood how it behaves in the water. Then I started fishing. And bam! a decent size of large mouth bass was on it! but I missed it while trying to land as I was trying to move a bit away from there because I was so scared of a snake that I have seen on that spot couple of days ago. Second cast and bam! 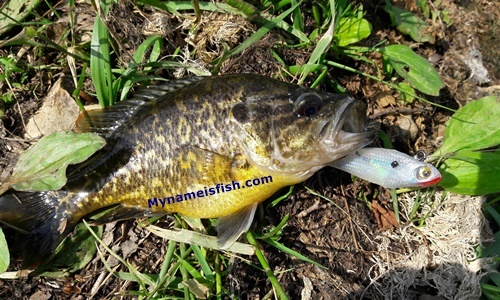 a beautiful crappie! And another! And another! 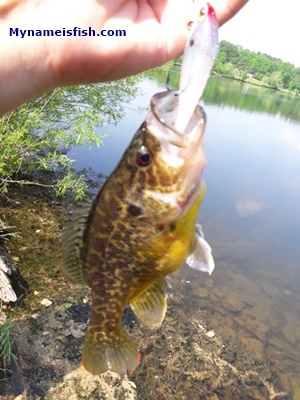 and a small bass! and another bass! I love this shad! Storm has done a well job! This is the world's first polar icebreaker This is also one of the longest-serving icebreakers in the world. 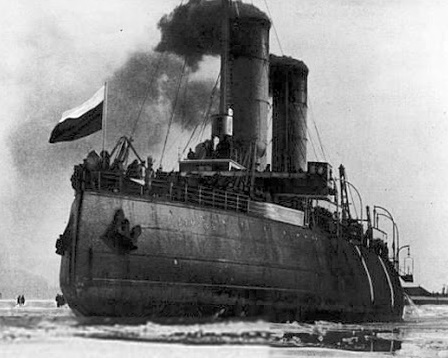 Yermak was built for the Imperial Russian Navy in 1898. And it was scrapped in 1964. 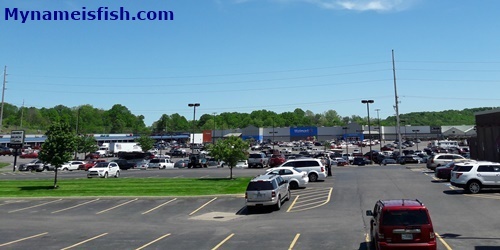 It was 97.5 m long and 21.6 m wide and at the busiest times there was 102 crew on it. 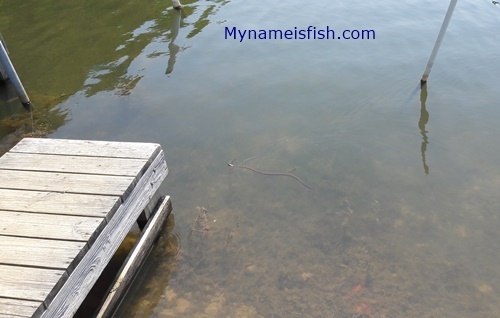 An aggressive copperhead in Logan Lake, Hocking County, Ohio. 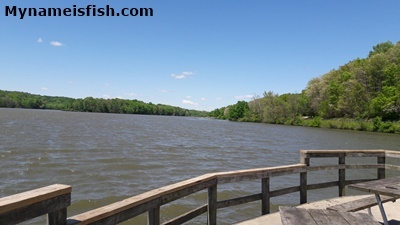 On a warm sunny afternoon, I came to Lake Logan for fishing.. While I was unpacking my tackle bag, I noticed something moving near my feet.. I think I disturbed the young one.. 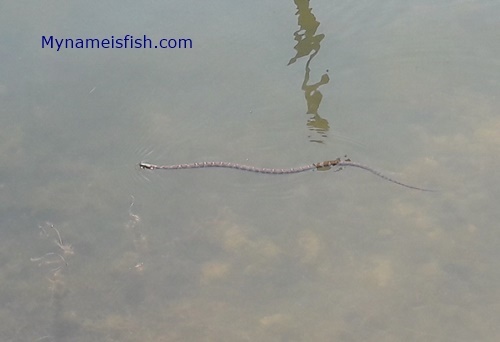 It slowly went into the water and started swimming around. It looked aggressive. 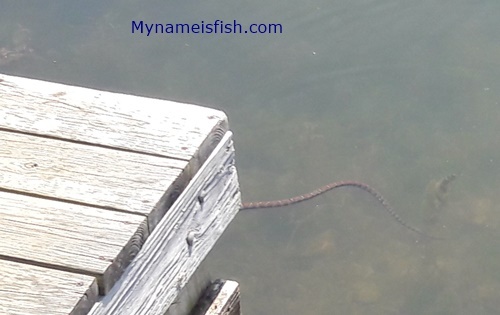 It was swimming nonstop, coming closer and going away.. roaming around the boats and going underneath the docks. It continued swimming like this about 5 mins.. then disappeared. 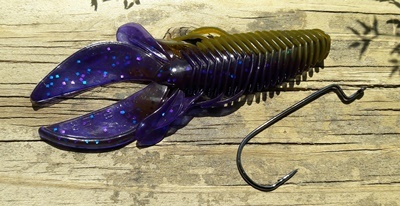 I wanted to try Gambler Stinger Craw Flipping Bait for bass. So I ordered a pack on Ebay. A pack contains 7 lures. I picked Killer G without a specific reason. 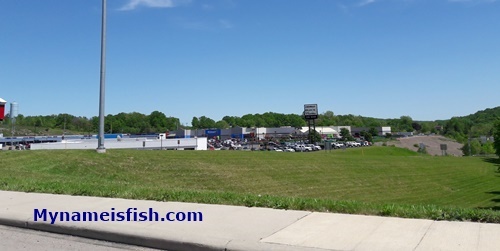 I have tried similar color of worms before in Lake Logan and different ponds in southeast Ohio and this kind of color always work well for me. 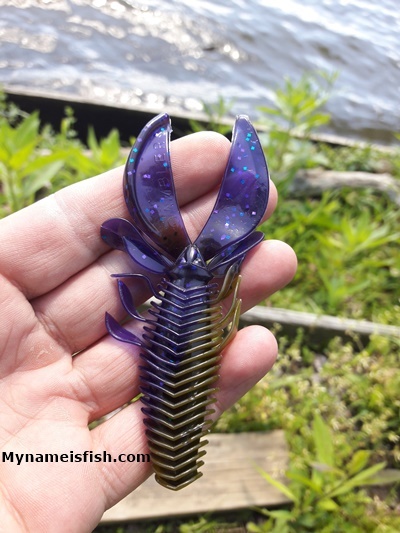 Gambler Stinger Craw is an attractive bait that I liked the texture and lively design of it. 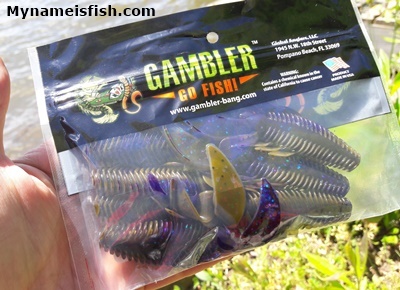 An ideal flipping and punching bait. 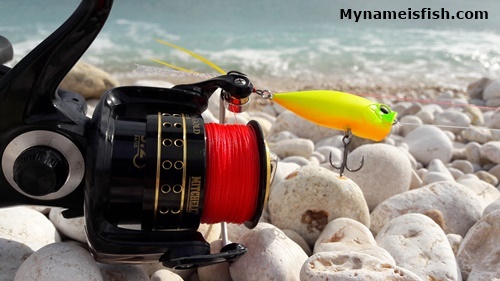 It has an aggressive action in the water and easy to cast into the wind. The length of Killer G is 4.25" but it doesn't look so big because of perfect design. I used it on a typical simple Texas rig. It was a very, very windy day but I still got a few bites. Other colours: June Bug, Silver Shadow, Green Pumpkin, Shadow Blue, Florida Five-O, Black Blue Glitter, Gold Rush, Killer B, Backatya, Friendly Fire. 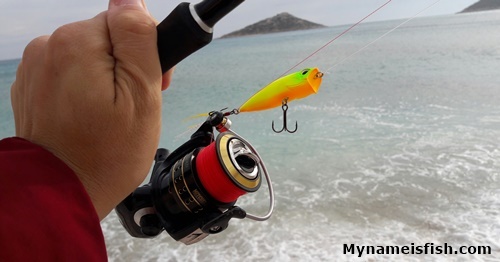 Have you ever seen how big squids attack those attractively coloured squid jigs? Here an amazing underwater video that show squids chasing squid jigs and they cant stop biting and trying to taste them.